Google I/O 2012 kicked off at San Francisco. 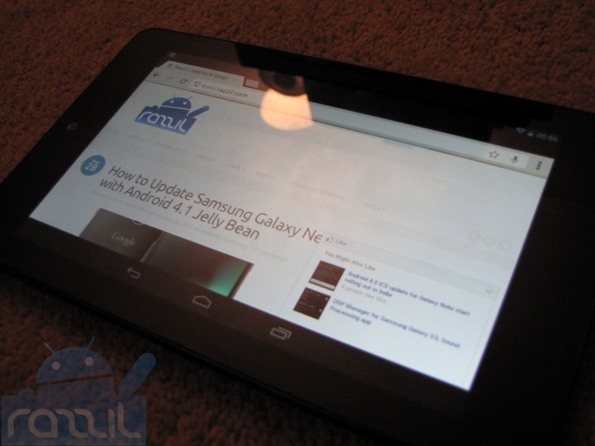 After series of rumors, Google has finally launched its own tablet called Nexus 7. Nexus 7 has 1.3 GHz Tegra 3 processor, 1 GB of RAM, 1.2 MP front-facing camera, 7-inch IPS display with 1280 x 800 resolution and it runs on Android 4.01 Jelly Bean. Nexus 7 comes with two storage option 8 GB & 16 GB of storage. Nexus 7 comes with impressive battery life, you can play over 8 hours of HD videos, 10 hours, of web browsing or 10 hours of e-reading. As we know Nexus 7 comes with Tegra 3 chip which provides ultimate gaming experience better than any chip provider. 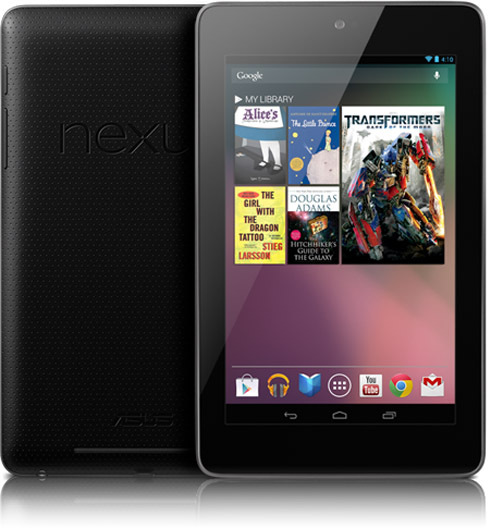 Nexus 7 was built by ASUS and comes 12-core GPU which delivers rich and immersive graphics. The tablet has Wi-Fi only, no 3G/4G and no SD Card slot. Nexus 7 will cost you $199 and will be available in mid-july at US, UK, Canada & Australia.